The TCS – Tumor Cell Solution system by Celsius42 takes effect where it is needed. Regional hyperthermia. The TCS – Tumor Cell Solution by Celsius42. Everyone is unique. Diseases don’t follow a standardized pattern, so stereotype thinking is not an option, especially with cancer. The tumor type and location, the patient’s physical condition, mental state and pre-existing conditions are just some of the factors that play a role. Responding to this individuality was the objective of developing the TCS – Tumor Cell Solution for Celsius42. 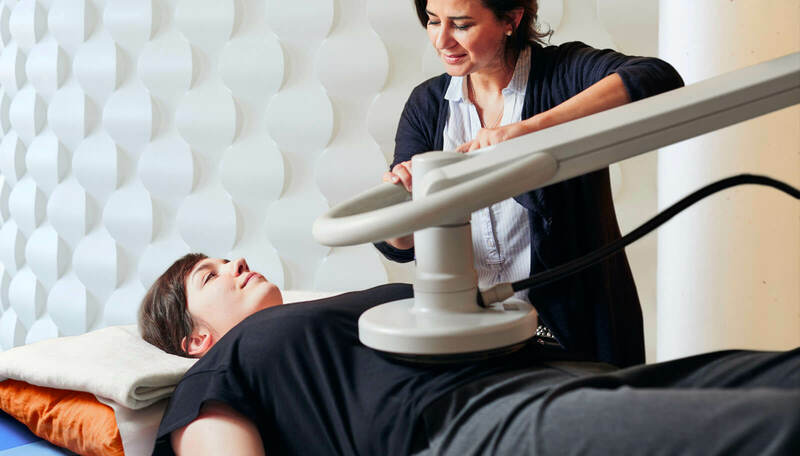 The anatomically adapted electrodes and the flexible radiation system are perfectly suitable for selective and effective tumor treatment in all body regions. This enables precise therapeutic intervention. Effective energy transfer with continuous checking of the applied power, guarantees gentle but effective treatment. A personal database on the treatment history provides additional safety during the therapy course. Celsius42. Partners in the fight against cancer. The TCS – Tumor Cell Solution hyperthermia system is equipped with a particularly sustainable water cooling unit. It allows for high energy input while protecting the skin against overheating at the same time. This enables effective treatment, even in deep body regions. The versatile tile electrodes and the movable hydraulic arm guarantee therapeutic precision and accuracy. Their easy design enables intuitive handling. The water bolus in the electrodes makes for a perfect body fit and is even able to compensate for slight movements during the treatment. The TCS – Tumor Cell Solution system stands out for its dual-action electrodes. 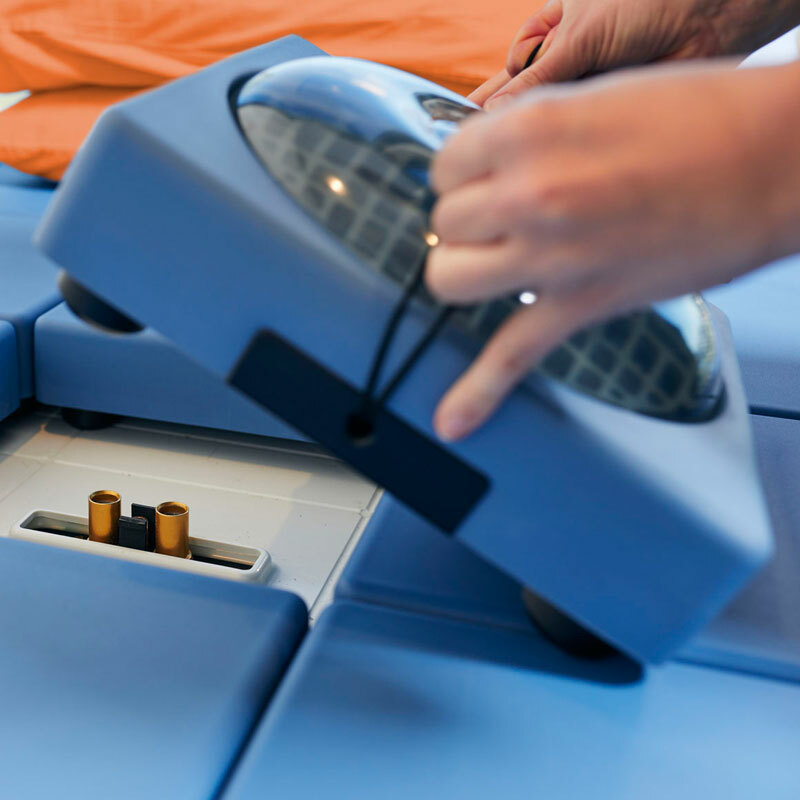 The system automatically detects which electrode is connected and checks the plausibility of the settings. Various electrode formats and the option to use two selective electrodes help to make the energy input more targeted. Therapeutic optimization with the intelligent hyperthermia system from Celsius42. 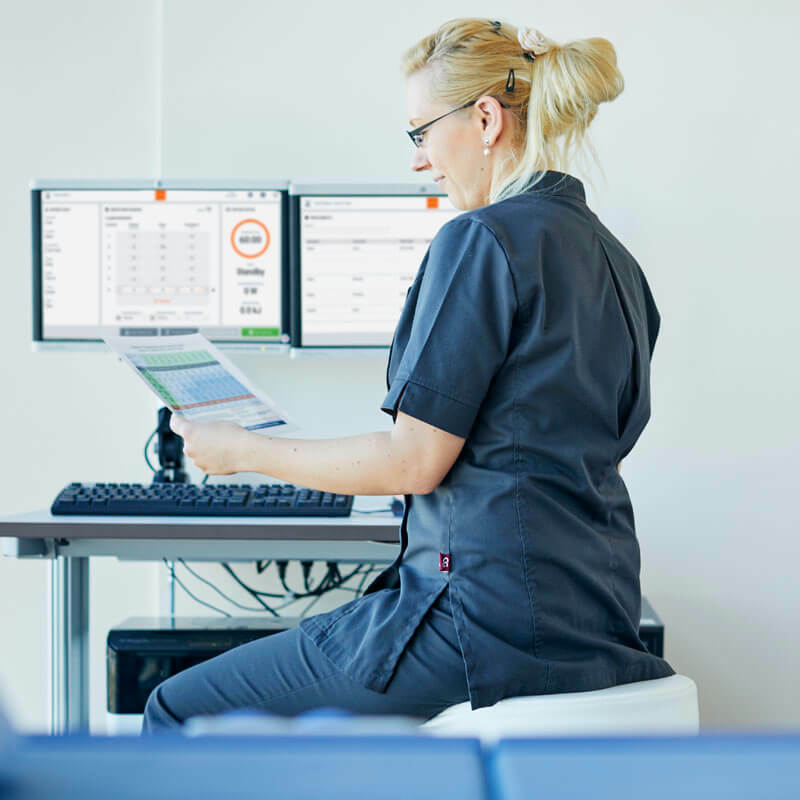 Patient data is managed safely and easily. All treatment data is available during the entire therapy, even for extended treatments. Individually programmable treatment protocols guarantee an up-to-date, and above all, consistent therapy course. All data is stored permanently in a database. The Linux-based operating system is extremely well-equipped to defend against external attempts to access the system. The pictured software will not be available until the end of 2018. The patient. Always the center of attention. The well-being of the patient during hyperthermia treatment is continuously monitored. Patients can cancel the session on their own at any time at the push of a button. 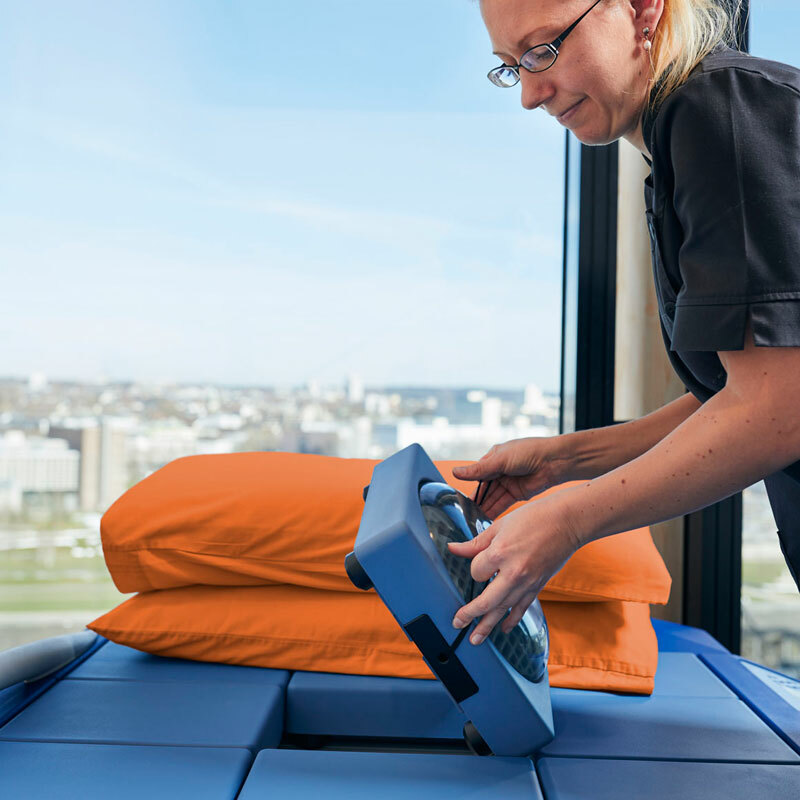 The hydraulic arm automatically moves out of the way so the patient can get up immediately.